Afridiziak Theatre news got a chance to speak with Nicola Hughes who is playing Dotty in the new production of the Olivier Award-winning musical Caroline or Change at the Chichester Fesitval Theatre this month. Without giving away too many secrets Nicola revealed more about this new version of the play Caroline or Change. Set in 1963, Lake Charles, Louisiana, the musical tells the story of Caroline an African American maid earning thirty dollars a week working for the Jewish Gellman family. She is 39, a single parent and the mother of four children. Dotty who is Caroline’s best friend, is also a maid and she is the epitome of change. Dotty goes to college and funds her studies with the maid position; this job is only the beginning for her life’s plan. She is working to change her life. Unlike Caroline, Dotty has no kids and no ties so she is free in many ways and is directing her own path to where she wants to go in life, whereas Caroline is a divorcee, has kids and is finding it hard to make ends meet. 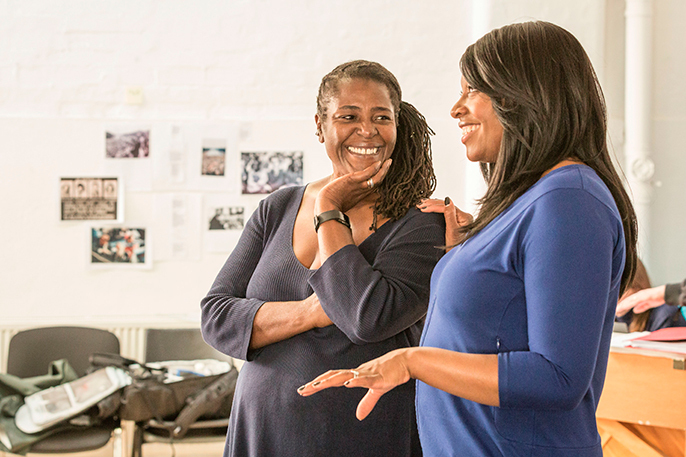 Caroline, Or Change production has a fantastic cast, music and the amazing Sharon D Clarke who is a brilliant Caroline; this play is going to be very exciting for us and for the audience. At that time in the US the Civil Rights movement is happening and more opportunities are becoming available for African-Americans, men and women. Although there is a lot of social change at this time in Caroline’s daily life not a lot has changed, there are still bills to pay and mouths to feed and not enough to go around in her own life. Caroline is just trying to get through the day. The family that she works for have an eight-year-old son, Noah, who loves Caroline and always visits her in the basement as she works, washing and ironing. But when he begins leaving loose change in his laundry for Caroline to find her life starts changing and from this point there are further consequences, and decisions to be made in Caroline’s life. Nicola first got involved in acting and performing from a young age. She went to ballet school from 11 and boarded there, her intention was to join the Dance Theatre of Harlem, in New York and progress her career as a dancer. On reaching her final year she went to London with a close friend and they randomly decided to enter some open auditions. They tried out for Cats and also for a new Gerswhin musical called Crazy For You, a new production from Broadway. To her surprise Nicola was called back for the new musical and then got the part and her career took a new turn, instead of going to Harlem she went to London and started her career in the West End. It wasn’t the conventional route but it worked. Nowadays Nicola aims to balance work and family as a busy wife and mother of three children. Her children are a key motivation in the decisions she makes when accepting new roles and making sure that the jobs are fulfilling in all ways where she can continue to grow and learn as an actress but still maintain normality in her children’s lives. I asked Nicola who she would love to work with in the future and Sir Nicholas Hytner, English theatre director, film director, and film producer, was the first name that sprang to mind. She would also love to work at the National Theatre and cannot wait for us all to see this new production of Caroline or Change. 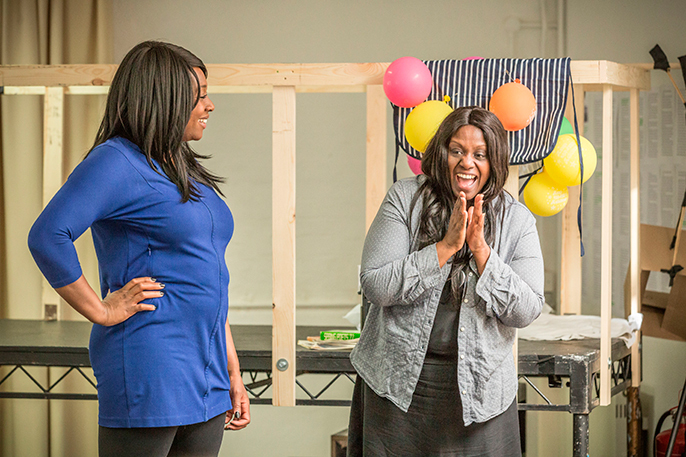 “It’s great to be performing in this after working on projects like Porgy and Bess. 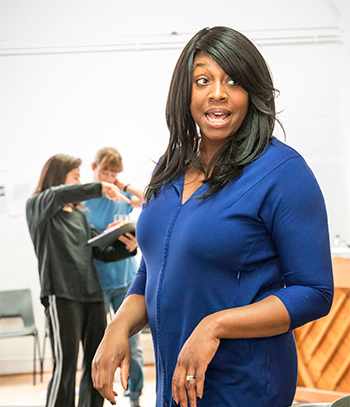 This production has a fantastic cast, music and the amazing Sharon D Clarke who is a brilliant Caroline; this play is going to be very exciting for us and for the audience”.